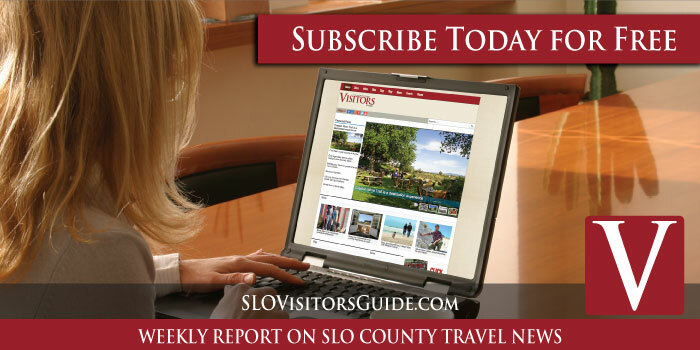 Subscribe to the San Luis Obispo County Visitors Guide and received weekly updates on the latest in travel news from around the county. 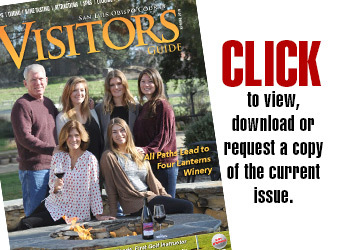 The San Luis Obispo County Visitors Guide is the county’s premier travel magazine featuring wine tasting, dining, lodging, shopping, spas, and attractions. 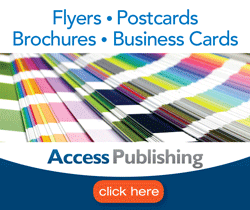 Now you can have the latest travel news and feature stories in your email once a week, every Thursday. It will help you plan an amazing vacation weekend. 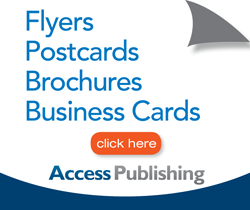 The San Luis Obispo County Visitors Guide covers the cities of Atascadero, Arroyo Grande, Avila Beach, Cambria, Cayucos, Grover Beach, Los Osos, Morro Bay, Nipomo, Oceano, Pismo Beach, San Luis Obispo, Santa Margarita, Templeton, Paso Robles, San Miguel and all of San Luis Obispo County.